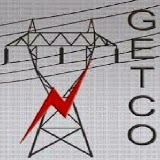 Welcome to the page of GETCO Recruitment. In this section you can find the details of latest GETCO Vacancy. Get full details of all Latest Jobs of Gujarat Energy Transmission Corporation Ltd (GETCO). You can get all the recent employment notification of GETCO Recruitment directly in your mail inbox through our free email alert service. Gujarat Energy Transmission Corporation (GETCO) Limited has published online notification for filling up 65 posts of Vidyut Sahayak (Junior Engineer – Electrical & Civil) & Plant Operator. Desirous & eligible candidates can apply online on or before 25/01/2017. Last Date of Online Application : 25/01/2017. Last Date for Submission of Hard copy of Application: 03/02/2017. Application Procedure: Eligible candidates can apply online through the website http://www.getcogujarat.com on or before 25/01/2017. Gujarat Energy Transmission Corporation Ltd (GETCO) has released latest recruitment notification for filling up 05 posts of Accounts Officer. Desirous & eligible candidates may apply online on or before 15/07/2015. Age Limit: 30 years. (5 years relaxation shall be given to candidates of reserved category and woman candidate as per roster rules). Last Date of Online Application : 15/07/2015. Application Procedure: Eligible and interested candidates may apply online through the website http://www.getcogujarat.com on or before 15/07/2015. After completion of Online Application, printout of application should be send with all relevant document to The General Manager (F & A / HR), Gujarat Energy Transmission Corp. Ltd., Corporate Office, Sardar Patel Vidyut Bhavan, 9th floor, Race Course, Vadodara -390 007. Subscribe our free job alert mail for GETCO Recruitment 2017.